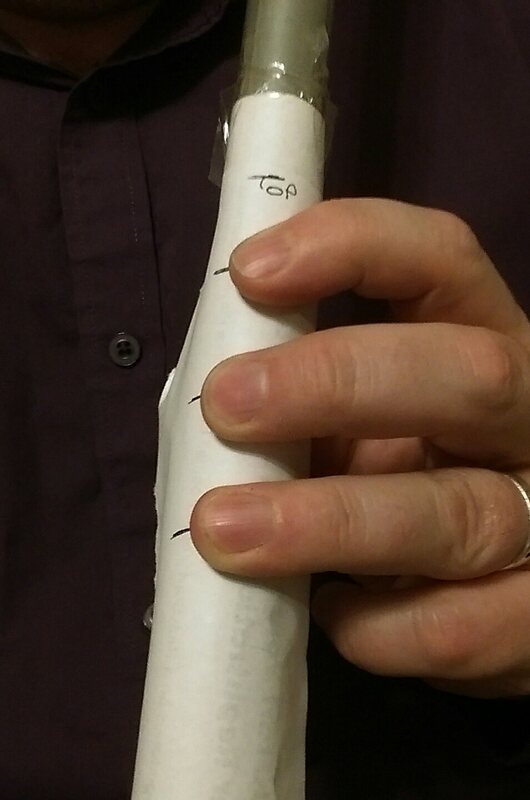 Please use this form to tell me your finger spacings so that I can make you a flute which you can play straight away. To get the finger measurements, see the picture at the left. Tape a piece of paper to a broom handle, and mark the top and bottom. Place the fingers of your left hand near the top, so that they are comfortably spaced and not stretched. Make a mark at each fingertip. Now place your right hand near the bottom of the paper and do the same. It doesn’t matter how far apart your left and right hands are. Once you have six marks, number them 1-6 (bottom to top). 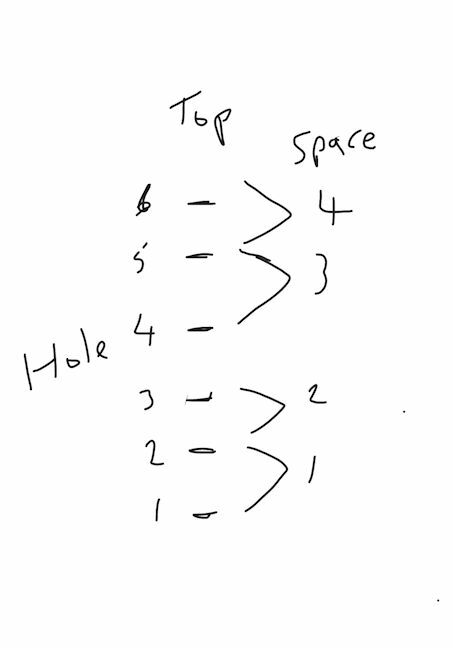 Measure the spaces between the holes in millimetres. Please indicate on the form if you’d like 432Hz tuning.